Yesterday I drove down to the Sussex coastal town of Worthing. It was a beautiful warm sunny day for the 1st day of October, making it a very pleasant drive. Ably assisted by my Sat Nav , I located the cafe easily and parked just down the road in a small car park. 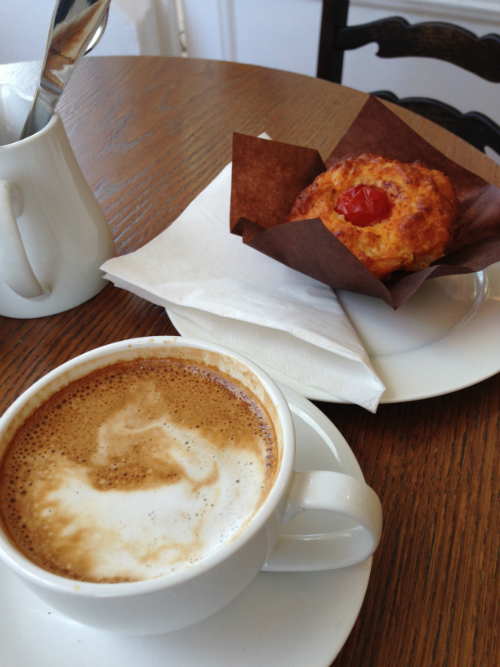 The Sussex bread company cafe and bakery are on a busy road next to shops and language schools. 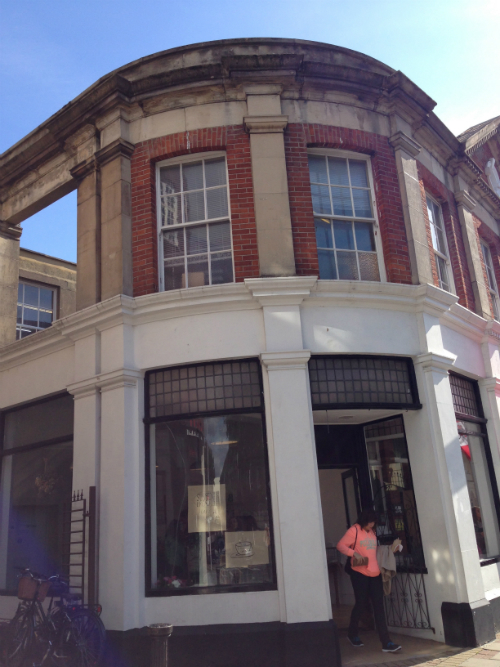 It is also opposite Worthing Museum which helps to locate this new venture. 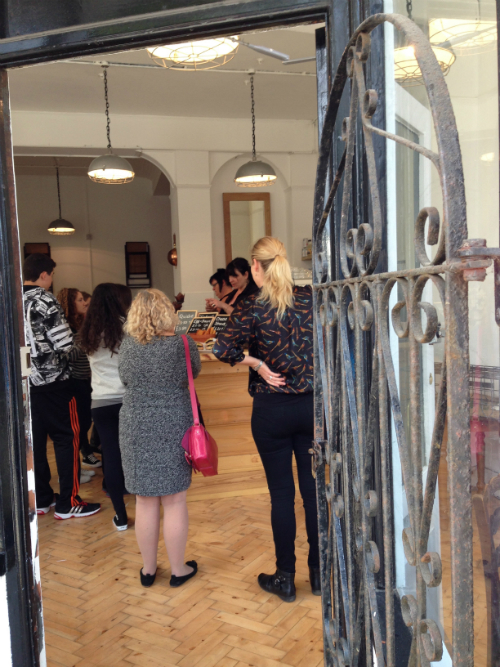 Sussex bread company cafe and bakery opened its doors on Saturday, so this was only the morning of day 4! 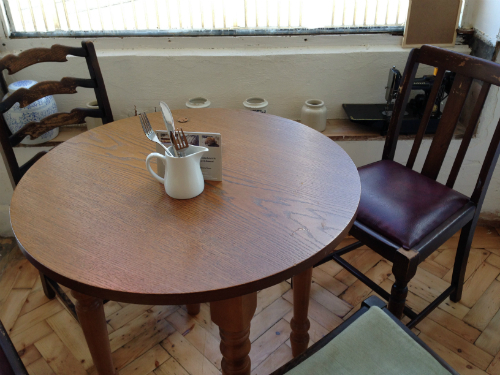 I was greeted warmly by Jane one of the owners and after a quick look around I was offered the table by the window to enjoy my freshly made coffee. Dairy alternatives are available lactose free milk or almond milk etc. 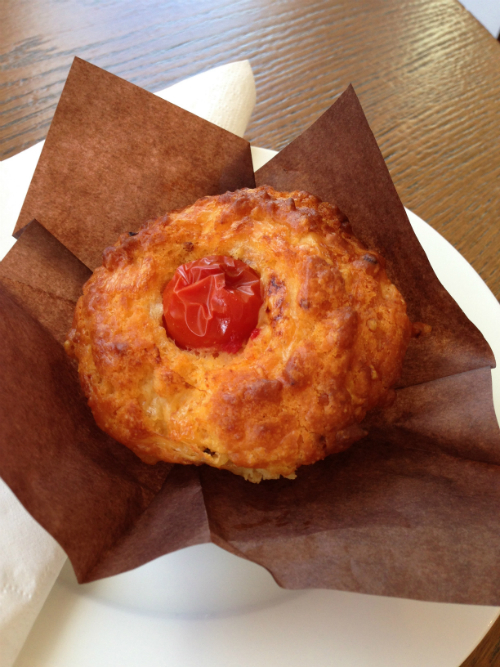 Along with my coffee I decided on a savoury cheese and tomato muffin. This can be served cold or warm. I chose to have mine cold and it was delicious, But next time I think I would have it warmed up. The cafe and bakery is set in a really quirky building with lovely lighting and considering it has only been open a few days it is certainly really starting to come together. 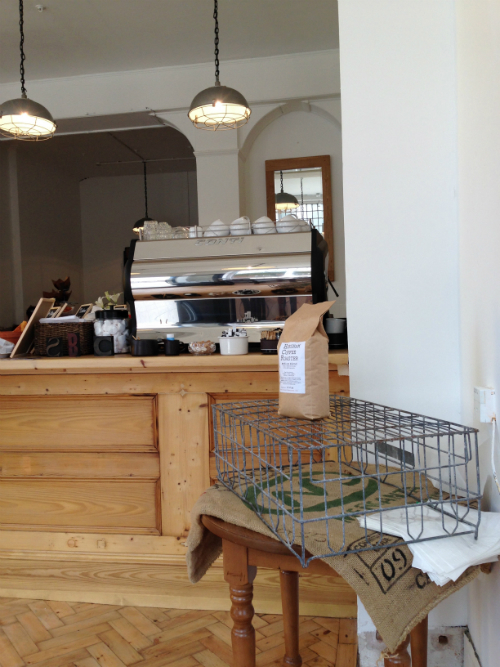 Its wooden floors and small wooden cafe tables and wire crates and flour bags give it a rustic feel . 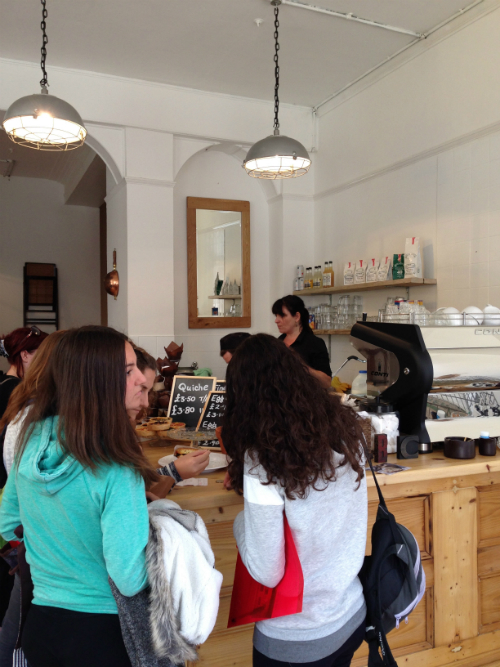 I also noticed how clean the cafe was, and although not a huge selection of food how well it was displayed. Bearing in mind this is the first week of opening, I imagine more choices will gradually be added. There was a good selection of quiches which can be taken away or eaten in with a green salad and coleslaw. 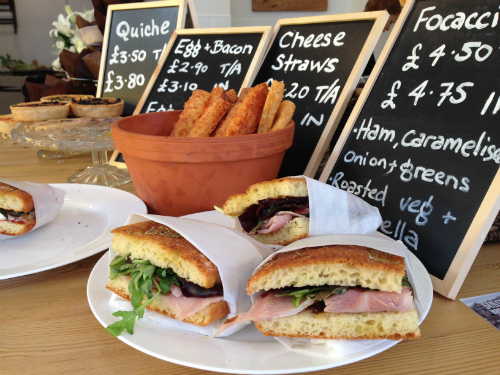 Filled Firle Focaccia looked very inciting . 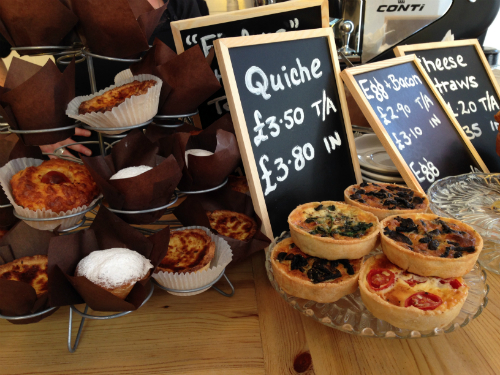 Displayed on the stand were gluten free custard tarts, brioche and savoury muffins. Freshly made cheese straws were also on offer, they did look very delicious. 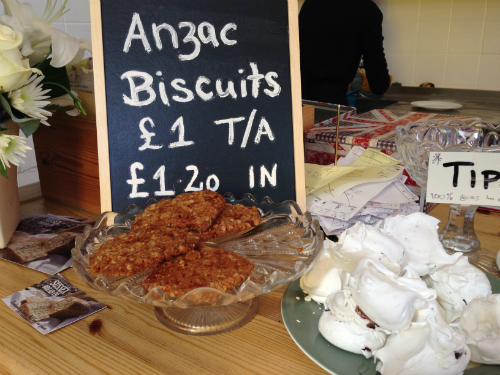 Along with Anzac biscuits and chocolate meringues. I would love to see a second choice of biscuit maybe that doesn’t contain gluten free oats. Something I try and avoid. I think I could have been very easily tempted with a gluten free chocolate cookie or similar. The fantastic thing is that the cafe and bakery are 100% gluten free No need for food to be covered or segregated to avoid gluten contamination. You can eat everything! I liked the fact that no big deal is made of the fact that everything is gluten free. It does mention it on the flyer by saying With love, not gluten. 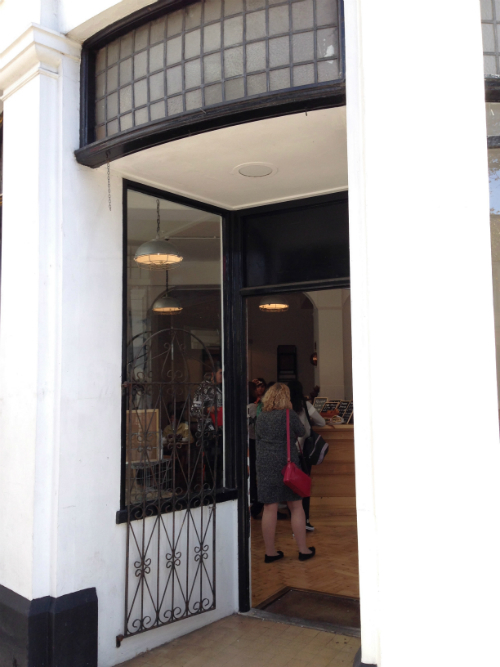 This hopefully will give Sussex bread company more of a chance of breaking into the cafe market. 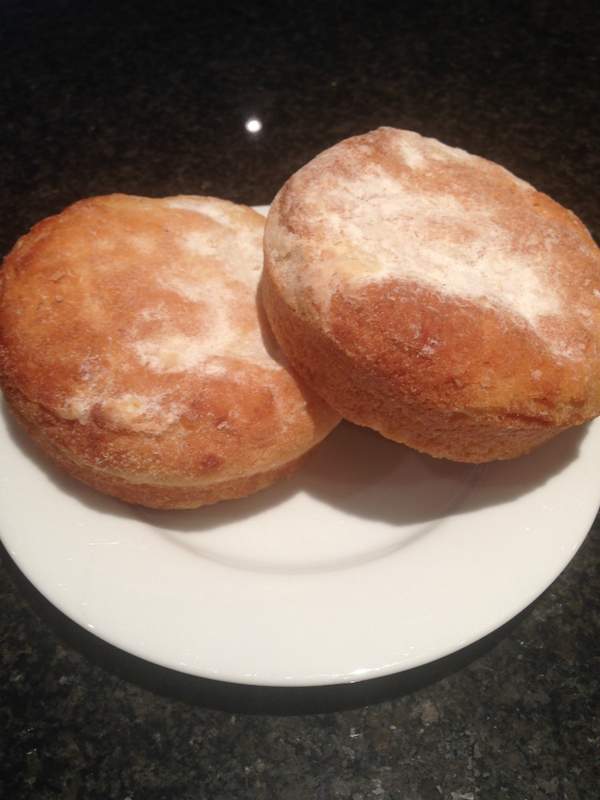 The bakery has been up and running awhile in Worthing serving the south east coast with fresh homemade gluten free bread. It has now moved to the premises here at the cafe meaning fresh artisan bread available every day except when the cafe is closed on a Sundays. The Brighton is a mediterranean loaf available in two sizes but not available when I was there. All named after places along the Sussex coast. 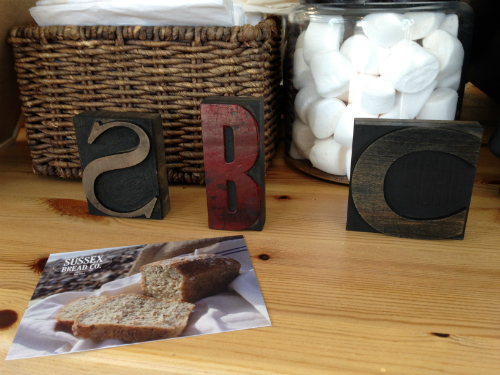 So even if you are not within driving distance you can still sample this artisan gluten free bread. As I am not able to have yeast I asked a number of gluten and gluten free friends and family to taste test the breads I had brought back. 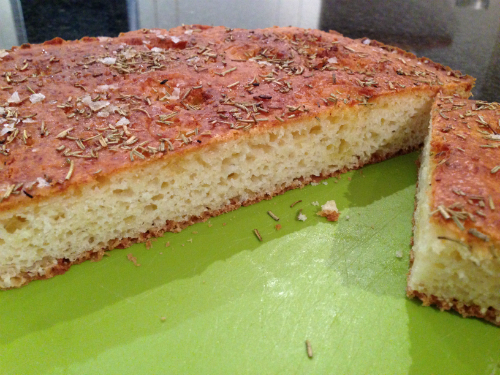 The Focaccia contains buckwheat,tapioca and rice flour. Free range eggs, olive oil, milk, psyllium husk, yeast, sugar, salt and rosemary. I hear it was very good with a good olive oil and balsamic vinegar! 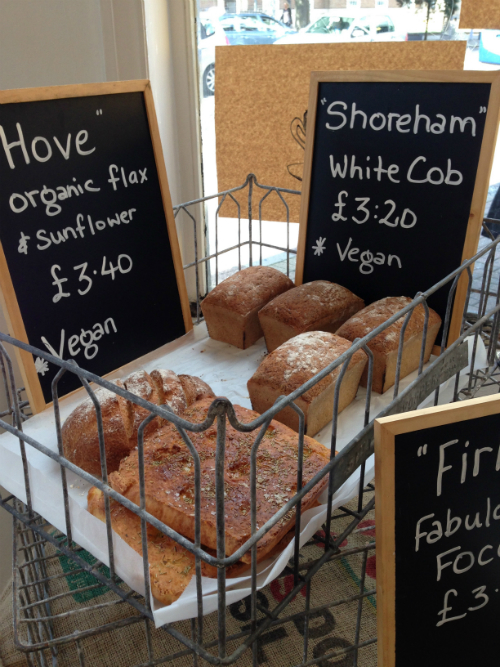 The Shoreham Cob loaf had some good reviews too. 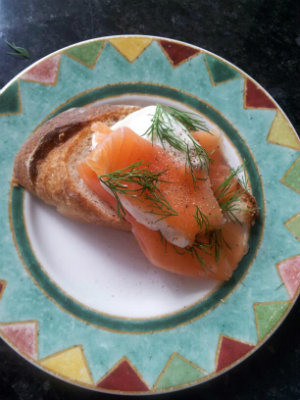 The Cob contains buckwheat, tapioca and rice flours , psyllium husks,olive oil, xanthum gum, yeast, sugar,salt, and vit c.
One of my reviewers made this yummy looking open salmon sandwich using the gluten free Cob loaf. I froze the leftover bread in slices for easy use in the future. 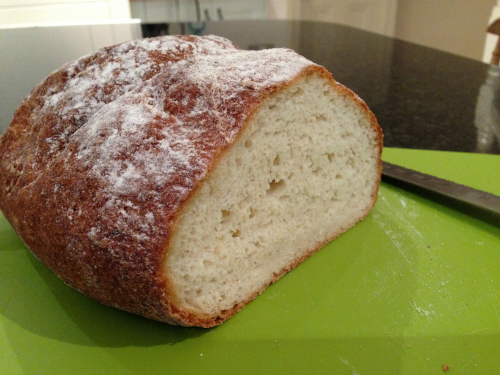 The bread doesn’t contain lots of additives so is best eaten straightaway or frozen. 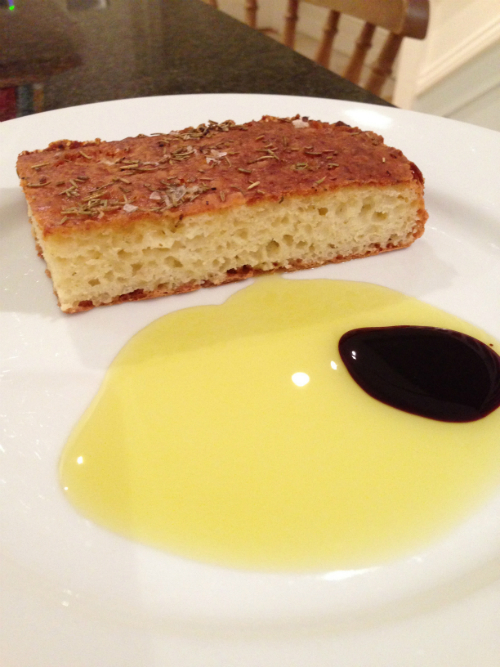 The Focaccia is best warmed with a sprinkle of water. I wrapped it in tin foil to avoid it drying out. 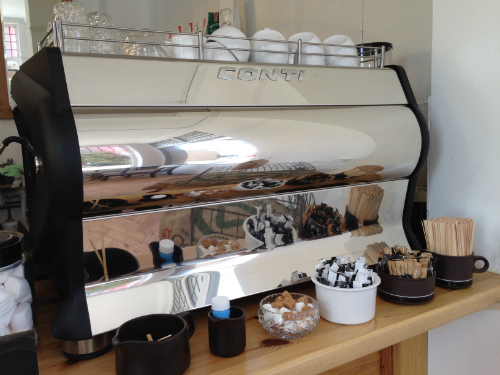 When I next pop down I hope to buy the Hove and the Brighton for family and friends to try. If you are local to the Sussex area or holidaying on the Sussex coast do make a bee line for this cafe and bakery on Chapel road opposite Worthing Museum and just down the road from Connaught Theatre and cinema. Do spread the word to fellow Coeliacs, gluten intolerant family and friends or simply those who love a good cup of coffee and some good quality artisan bread and tasty treats. In the short term remember to take cash as the till is not up and running yet. I look forward to visiting again in a few months to see how things have progressed . All the very best Sussex bread company in your new venture. I was not paid to do this review and bought my own gluten free goodies to eat in and take home. 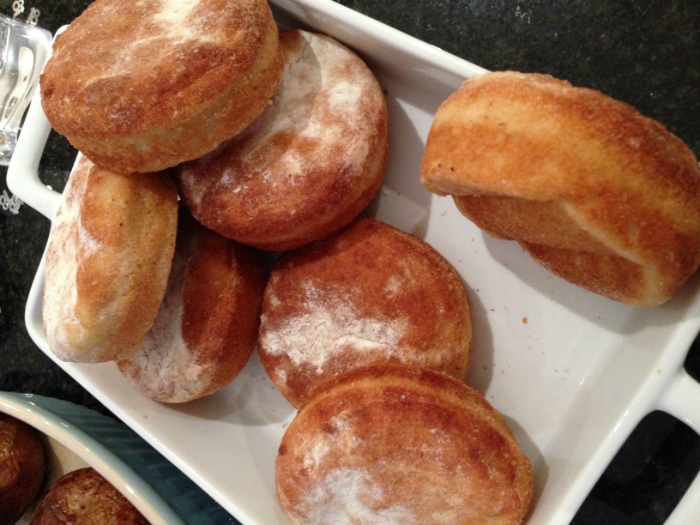 This month ( December 2015 ) I ordered 12 Bracklesham brioche buns for my nephews birthday party . They arrived on time , but one of the bags had split in transit. I think the bags need to be thicker. On lifting them out of the box I noticed how heavy they felt. The open bag didn’t seem to have had any adverse effect on the 6 rolls they were lovely and fresh. Some family took the leftover buns home and used them like crumpets/english muffins toasting them and adding cheese. They said they were much better eaten like this.